Wine Communicators of Australia today call for nominations in the new-look Wine Communicator Awards. The organisation’s members have a voice that helps shape the future of the Australian wine industry and the expanded awards are set to recognise excellence across six categories. The new Awards include WCA’s already established Wine Communicator of the Year and Best Digital Wine Communicator as well as the New Wine Writer of the Year, which is run in partnership with Gourmet Traveller WINE Magazine. Best Wine Website or Wine App. WCA Chairman Angie Bradbury said the expanded Awards program was designed to recognise outstanding contribution to, and excellence in, wine communication in all its forms. “It was our fresh Australian approach to communicating about wine that differentiated us and helped to launch us onto the global stage more than 30 years ago,” Ms Bradbury said. “The wine industry needs good, smart and innovative communication – across all channels – now more than ever to regain and share the new stories around Australian wine. The winners of each award will be announced at the Awards Night on Wednesday, November 20 at the Sydney Convention and Exhibition Centre. The judging panel for the awards consists of a mix of industry professionals, including WCA national board members, UK wine writer Andrew Jefford, current Digital Communicator of the Year Mike Bennie and The Social Hatch director Kristen Boschma. The Gourmet Traveller WINE/WCA New Wine Writer Award will be judged by editor Judy Sarris, contributing editor Huon Hooke, and WCA Chair Angie Bradbury. Entry is now open to all wine professionals in Australia. To enter or to learn more about each award, eligibility and judging criteria go to https://winecommunicators.com.au/awards/ . You can also follow Award updates via WCA’s Twitter tag: @WineComAust and #WCAwards. Partnered by Gourmet Traveller WINE Magazine. Awarded to unpublished talent who has written an article (1000 words maximum) on a wine-related subject. The winner of this competition will have their article published in Gourmet Traveller WINE and join an exemplary list of previous winners who are now successful wine writers and authors. Judging criteria to assess and score on the quality, construction and relevance of content. Awarded to an online wine communicator for outstanding work published in any digital category, including video, vodcast or podcast. Launched in 2012, the winners of this award are renowned for their innovative, contemporary and clever use of a suite of communication tools now available to the modern wine communicator. – professional achievements and actions of the communicator. In recognition of a wine writer, whose work is published in specialist wine media and relates to either trade or technical wine topics. This Award seeks to acknowledge the work of those writers who write for the wine industry – covering areas such as wine trade, sales, marketing, research, practical viticulture or oenology skills and techniques. Exemplary technical and trade writers have to move beyond the hype and headlines of general news. The best in this field use a mix of in-depth research and analysis of industry trends and practice to present engaging, informed and original material. In recognition of a single feature article or wine column published in commercial print or digital media. This Award seeks to highlight content that is entertaining, thought-provoking and offers the reader a new or original insight into the world of wine. Entries can include a single feature article or a regular wine column that was published in newspapers, magazines, online or specialist wine media in the national and international press. In recognition of a book, magazine, newspaper or printed publication (brochure, booklet, etc) which best supports Australian wine in a compelling, well-written and well-presented format. This Award seeks to recognise superb editorial, great design and images combined with successfully targeting content to its chosen audience. Awarded to the best new wine website or mobile app. This Award seeks to recognise a wine website or app that combines outstanding design, creativity, and usability, with current, engaging and relevant content for its desired audience. Entry is now open to all wine professionals in Australia. To enter or to learn more about each award, eligibility and judging criteria go to: https://winecommunicators.com.au/awards/ . 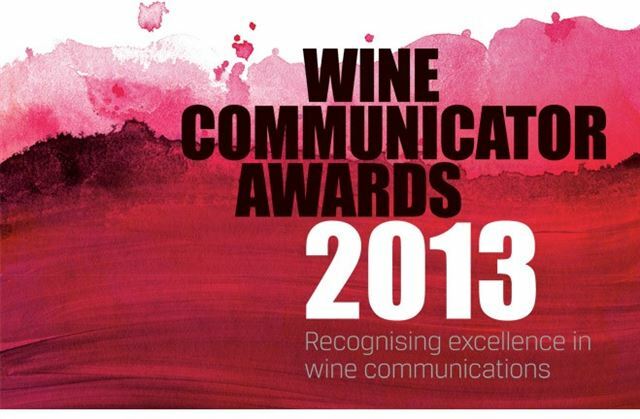 You can also follow Award updates via WCA’s Twitter handle: @WineComAust and #WCAwards.